Decluttering and Organizing Ideas to help you make your life simpler. A collection of posts dedicated to the fine art of decluttering and organizing. 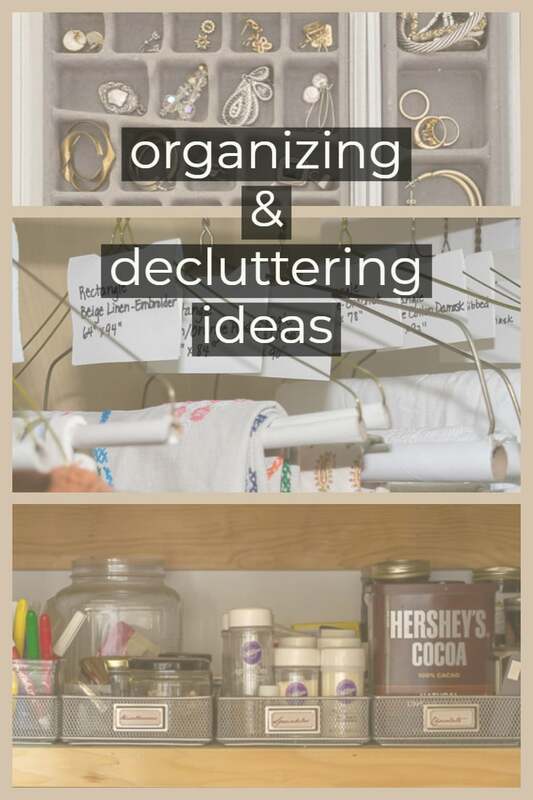 From tackling the clutter in all of the rooms in your home to organizing your travel and your digital life, you will find many ideas to help you declutter and organize your world. The 4-week Unclutter Your Nest Bootcamp dives into 9 different areas of our homes with tips and motivation to declutter them and create order from chaos. Using tips from Marie Kondo’s Life-Changing Magic of Tidying Up we touch everything in our home and decide what to keep and where to keep it. Using the tips and suggestions in these posts, I removed over 1,000 pounds of ‘stuff’ from our home. The Unclutter Your Nest posts remain the most popular posts on the blog. On a related note, this post with links to places to donate or recycle your discarded items has proven to be a useful tool to many declutterers out there! Just because an item is no longer needed or wanted in your home, it can still have value to someone else! Organized Travel Tips and Tips for Downsizing are also very popular posts within this organizing category. The post on Organized Travel has printable packing lists that we find very helpful. And the Tips for Downsizing post shares the lessons we learned while helping my parents downsize and move into a much smaller home. Bookmark this page or pin the following image to refer back to this collection of posts.